A report was released this week that suggested, much to many Canadians’ chagrin, hockey was not invented in Canada. While I have not yet read the full arguments of the authors, it would seem that some in England may have played a version of the sport in England in the late eighteenth century. What perhaps seems to set this evidence apart from the many versions and multiple claimants of hockey’s birthplace is that these games in England seem to have some kind of codification, in that there were teams and some set of rules to determine winners and losers. I tend to be a subscriber to the idea that codification, and transferability, of a sport is the most important aspect in determining origins, so there may be enough evidence to place the ancestor of the current sport to the winter ponds of England rather than the Victoria Skating Rink in Montreal in 1875 (though the genes of modern hockey seem to be more tied to the Montreal game than those in England). In any event, it is an interesting bit of evidence that – at least in what I have read in the popular press – perhaps provides us some insight into the origins and transferability of leisure and recreation practices in the nineteenth century. However, and perhaps from a more heritage perspective, this evidence also highlights the importance we put in such birthplace claims – ones tied to our sense of national identity, as well as the cultural and economic well-being of certain communities. I have written about the idea of home in sport before, though looking at a different sport and a different set of claimants, and the idea of the birthplace of a sport – and for what reason the claim is made – is normally more about the present than the past. Furthermore, the idea of the “home of the sport” is also a source of struggle, and the “birthplace as home” is but one way of understanding how the “home” label is played out in sport. In the case of hockey, there are different communities and people who claim the origins of the sport for different reasons. I’m sure all believe that they have a legitimate historical claim to hockey’s origins, though the dissemination of their claims are often tied to tourism, pride, and community promotion. 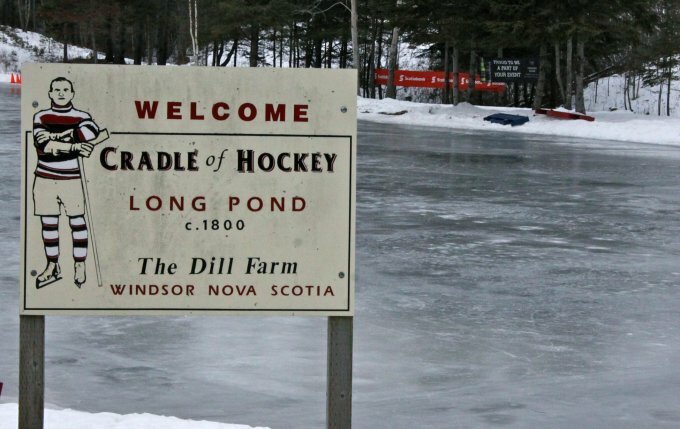 One need only look at Windsor, Nova Scotia‘s claim to hockey’s origins to see how an interpretation of historical data becomes a source of both community identity and marketing. Point being, whether this latest piece of historical data is accurate is interesting, though how it is played out in the present – by those who feel a claim to the sport’s origin myth – will be interesting to see. By Gregory Ramshaw in Uncategorized on May 30, 2014 .